1 Owner! 8K Miles! 8K Miles! Very rare car!!! 1997 Porsche Boxster Roadster * Less than 9K Miles MILES * 1 of 67 made with this color combination * Original Owner * NO ACCIDENTS * Flat 6 2.5L 6 Cylinder Engine. 5 Speed Manual Transmission. Leather Seats. Power Windows. Power Locks. Power Mirrors. Cruise Control. Power hard top!!! Power top works great and we have so many goodies to go with it (Front bra, side mirrors cover, car cover, front dash cover, both keys, owners manual mats etc) Yes this is a 1 Owner Porsche with less than 9K Miles. Let me repeat 1 Owner with under 9K Miles! Show Room Condition. This is just an amazing car! This Car NEEDS NOTHING. This car comes with a TEXAS clean title!!! Power top works great and we have so many goodies to go with it (Front bra, mirror cover, car cover, front dash cover, both keys, owners manual mats etc) This car was just professionally mechanically serviced and before listing it for sale we had a 125+ point CERTIFIED PRE-OWNED inspection was just completed on this car and it needs nothing. Inspection is current and the tires are in great condition. Drives and looks like new! The 125+ point inspection and vehicle history report are available for your review, when you test drive the car! 1 of 36 in this color Combination! The Arctic Silver Metallic exterior is absolutely FLAWLESS, there are no dents, scrapes or scratches on the paint. NOT EVEN A DOOR DING!!! This car has been GARAGE KEPT! The Nephrite Green LEATHER interior is also in excellent condition. 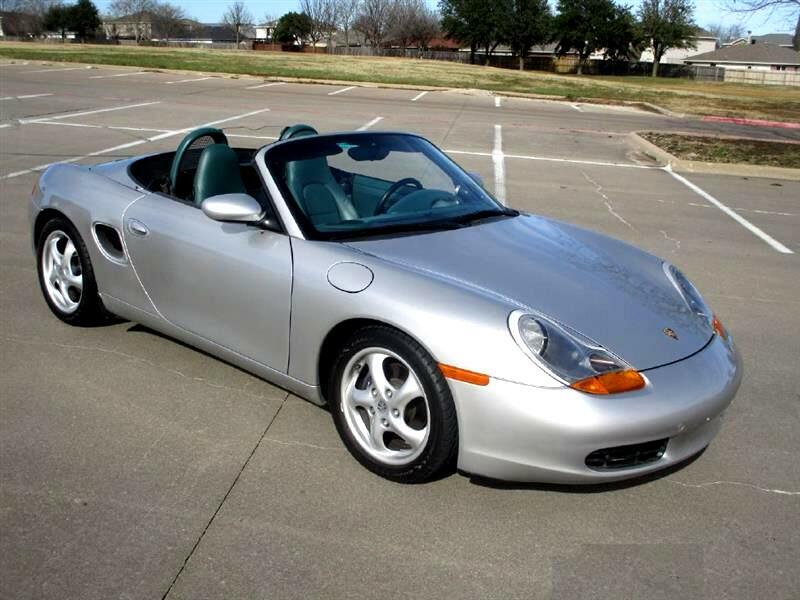 Message: Thought you might be interested in this 1997 Porsche Boxster.